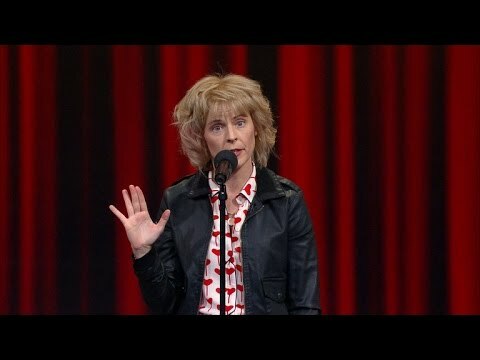 MARIA BAMFORD stars in the semi-autobiographical Netflix comedy series “Lady Dynamite,” lauded as “revelatory” by Entertainment Weekly and one of 2016’s must-see shows by Variety and Rolling Stone. The series was created by Mitch Hurwitz (“Arrested Development”) and Pam Brady (“South Park”). Maria is the creator and star of Maria Bamford: the special special special and of the cult hit web series “The Maria Bamford Show,” which screened at the Museum of Art and Design. She was the first female comic to have two half-hour Comedy Central Presents specials and starred alongside Patton Oswalt, Zach Galifianakis and Brian Posehn in the Comedy Central series “The Comedians of Comedy” and Netflix’s Comedians of Comedy: The Movie. Maria recurred as DeBrie Bardeaux on Netflix’s “Arrested Development” reboot, for which she was praised as a “standout” (TIME) and “perhaps one of the high points of the entire new season” (Black Book Magazine). She has also recurred on USA’s “Benched,” FX’s critically-praised “Louie,” and currently recurs on the ABC hit “Fresh Off the Boat.” Her new special Old Baby is available on Netflix. This show is recommend for adult audiences. We own & operate the Victoria Theatre, Benjamin & Marian Schuster Performing Arts Center, PNC Arts Annex & Metropolitan Arts Center, home to The Loft Theatre.